Big L stocks exterior doors from Therma-Tru. Discover the possibilities for your home. Therma-Tru’s superior engineering results in high quality products with enduring beauty. Therma-Tru entry door systems are not only the brand that most builders prefer; they are also unmatched with the best warranties in the industry. Every line of doors we offer comes with a package of performance that is unrivaled in the industry. 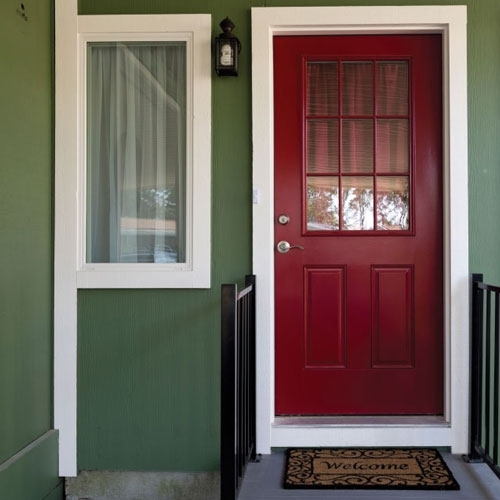 With a front door by Therma-Tru, not only will you see an increase in comfort, energy efficiency and performance, you will also see an increase in curb appeal. 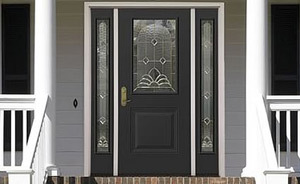 Therma-Tru's fiberglass and steel entry doors will add beauty and security to your home. In fact, you can increase the perceived value of your home by more than $24,000 just by adding a Thema-Tru entry door system. Therma-Tru’s ProEdge™ & Profiles™, Traditions, and Fire-rated steel door lines offer economical, safe, and durable options for your entryway. Big L stocks 32" and 36" steel doors in blank, nine lite and six panel designs. For specialty doors, such as radiata pine, oak and other masonite designs, call any Big L location for details. 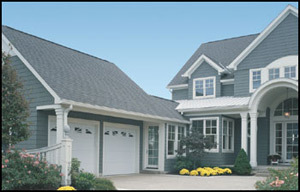 Garage doors have come a long way and Gadco Garage Doors has a selection second to none. Choose your style of door. Choose from nine (9) decorative colors. Choose from standard windows or the new decorative style window. Big L stocks the model 7825 raised panel door in white. It is available in 9' x 7' and 16' x 7' in non-insulated or insulated. Install it yourself or let Big L arrange installation for you. A great idea is to install a new Chamberlain garage door operator with your door. The new rolling code transmitters assure the best in security! Modernview Windows by Atrium have become a big success with our customers. Stock windows feature Low-E insulated glass and J-channel built right into the window. Units are stocked in white finish, single hung or single slide, and a few picture windows. Big L has in stock 6' 0" x 6' 8" vinyl patio doors. Units come assembled in a frame and include screen and hardware. Units feature a durable white finish and Low-E insulated glass. All this for under $550.00. Available by special order: double hung, double slide, casement, awning, bay, and assorted picture windows. Big L Corporation is an Andersen Window "Circle of Excellence" member. We offer the best in sales and service. The wide range of product availability is designed to assure you the right window for your new home or addition. Use them for new construction or replacement windows. Big L orders truck loads direct from the factory to save you money. However, we also order weekly from our warehouse for the can't wait customers. Stop at any Big L Lumberland location for a quote on your window needs!